Not all clients are created equal. And that’s why we created the Xero Ledger. The Xero Ledger is the perfect tool for managing your clients who only require year end accounts. Now you can all of your client’s financial information in one place. Whether they are on other software or if they provide you with a shoebox or spreadsheet, the financial information can quickly and easily be entered into the Xero Ledger to use the full suite of Xero products. The Xero Ledger includes Fixed Assets, files Inbox for online file storage, flexible and easy to use Report Templates (SPFR) and advisor specific tools like manual journals and Find & Recode. Xero’s fully integrated suite of products means data flows seamlessly in one system. No more transferring data. With Xero being born in the cloud, you can now work from anywhere, anytime on any device including generating reports straight from the client ledger. Your time spent producing reports drops from days to hours. These efficiency gains result in significant new capacity in your practice. In the past, you and your clients both had to buy and maintain software to produce the same set of financials. 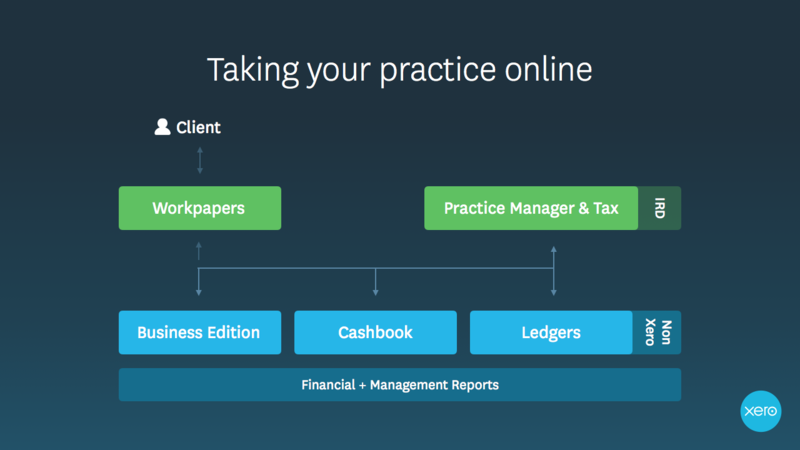 With the Xero Ledger it’s just one system, so your tools including reporting, workpapers, practice management and tax are all on one platform, seamlessly integrated. For Silver partners and above, your Practice Management software is Free. With the single ledger it’s just one system, so your tools like reporting and practice management are free. *The ledger excludes multi-currency, invoicing, bank feeds & GST Return Reports. The post The Xero Ledger – the most efficient year end compliance tool for all of your clients appeared first on Xero Blog.